At Four Paws Cuddington we offer professional grooming services at affordable prices to pamper your pooch. 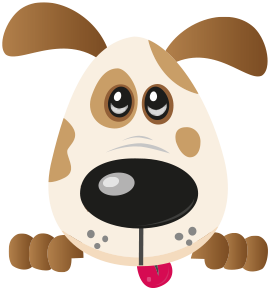 Those that enjoy our doggie daycare centre or other services on a regular basis will receive a loyalty discount. We put you and your pets needs first, that is why we aim to deliver beautiful pet grooms along with the highest level of customer service. We cater for all breeds, ages and coat types in our fully equipped, modern salon – no dog is too big or too small! We are happy for you to come and see the salon prior to making an appointment as it is important for you to be as confident in our abilities as we are. Each dog that comes through our doors will be given a visual health check and we will report back anything we find during a groom. Your dogs welfare is our top priority and we customise our service so puppy to golden oldies enjoy their pamper. We will discuss your dogs lifestyle and the type of groom available for your dogs coat type. We are able to groom and style to Breed Standard or Customer Request (styling to your dogs personality and lifestyle). Please call us to obtain a grooming price (price quotes are based on breed, coat types and condition). Grooming appointments can be made between 9.30am and 5.30pm Monday to Friday and don't forget to pick up your loyalty card too for some great extra offers.